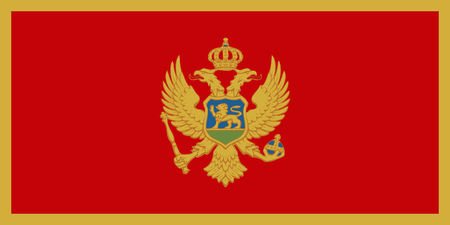 Montenegro, or "Black Mountain", is a small country in the southeast of Europe that borders Bosnia-Herzegovina, Serbia and Albania. The country boasts a striking shoreline on the Adriatic Sea that features an amazing variety of beaches, bays, coves and small islands, as well as Europe's most southerly fjord, at Kotor Bay; the entire coast is framed by four towering mountains, Rumija, Sutomoran, Orjen, and Lovcen. These rugged highlands preserve traditional Montenegran culture, as well as lovely untouched woods, lakes and rivers that are home to diverse wildlife. The most popular sports in Montenegro are soccer, basketball, water polo and handball. Golf is only just starting to be mentioned in Montenegro, though the basic ingredients are here: promising terrain and good weather, with a season that runs from April almost to November, at least in the lower elevations. Golf-minded scouts have noted a number of promising sites, particularly around Boka Bay. Two courses are slated to open in 2016. The Royal Montenegro Golf and Country Club, located between Porto Montenegro marina and the Sea Breeze Villa development, is being designed by Steve Marnosh. Even more exciting, Gary Player has created the layout for the full-sized layout at Lustica, which is part of the Orascom development project.